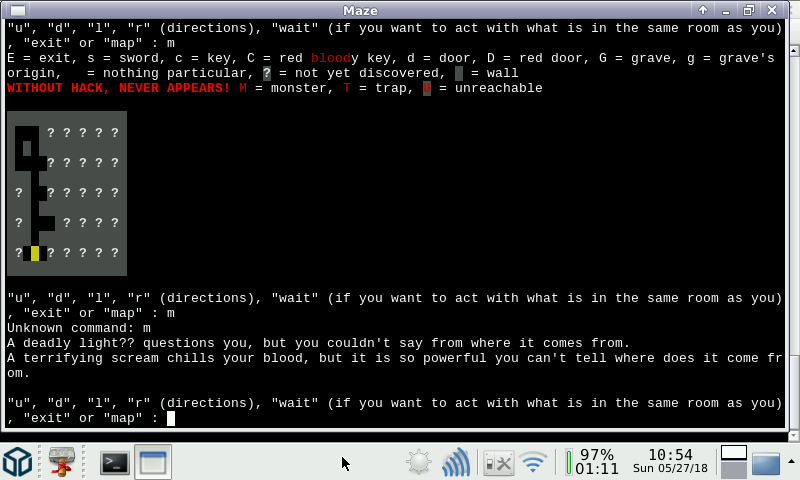 This game is my own Lua maze. 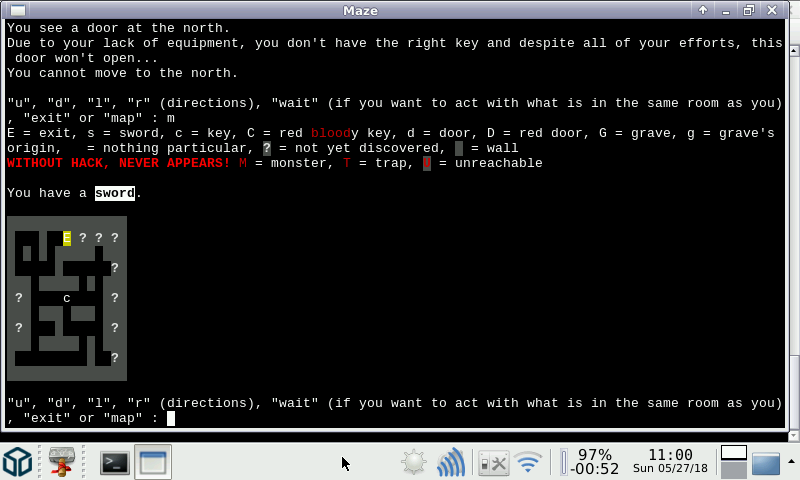 Trapped in a maze, avoid being killed by monsters and traps and reach the exit with the good key! 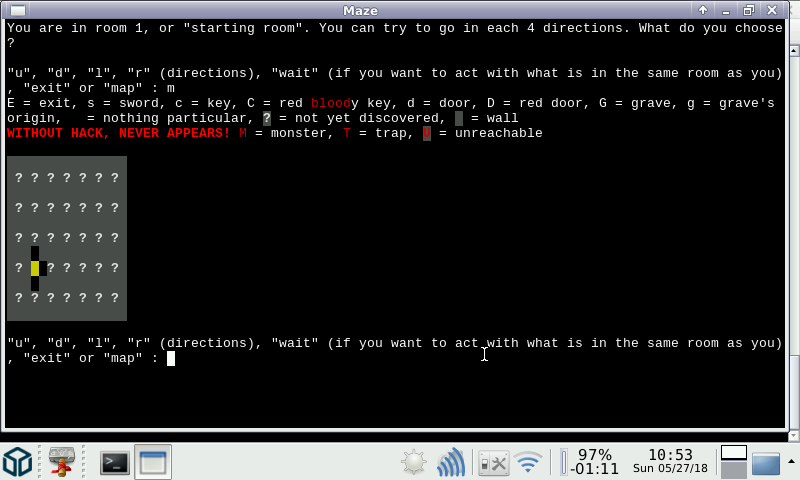 ASCII game in command line.